The spirit of the word Samája (society) signifies a group of people who move together. All are not of equal strength or intellect. Hence the shortcomings in one must be compensated for by another. Different people have varying abilities: some have physical strength but no brains; others have the brains but not the strength to work; and others have neither the strength not the brains, but work well and with a peaceful mind under the guidance of their supervisors. We can always see around us people of differing types and qualities. Judged by the crude codes of this world, no one is totally independent. Everyone relies on someone else in some way or other. Everyone makes up for their deficiencies by taking help from others. Whenever a large group of people strive to make up for their relative differences on terms of mutual understanding, we call it a society or society. What is society like? It is like a group of people going on a pilgrimage. Try to imagine the scene! Suppose one of the pilgrims is struck down by cholera. Will the rest of them continue on their way, leaving the sick man behind? No, that would be inconceivable for them. Rather, they will break their journey for a day or two, and cure him of his disease. If he is still too weak to walk they will carry him on their shoulders. If some people run short of food, others share what they have with them. Together they share their possessions, and together they march ahead, singing in unison. In their eagerness to move ahead with others they forget their trifling differences which might have led to angry exchanges and court cases in their families, even down to three generations. It is because of the petitions of the complainant in a land dispute that some people go so far as to spend ten or twenty times more than the piece of land is worth. The essence of cooperation resulting from this collective movement aims at expanding a person’s mind by striking down the barriers of meanness. I repeat that a true society is like such a group of pilgrims who attain a deep psychic affinity while travelling together which helps them solve all the problems in their individual and social lives. If we take the full meaning of the term society into consideration, it will be seen that till now human beings have not been able to form a real society. If India builds a society for only Indians, Pakistan for only Pakistanis, and England for only the English, then three separate societies will exist, but we cannot look upon them as the society of humanity. 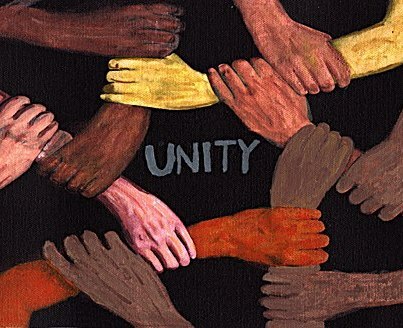 Because humanity is divided into groups, one society will naturally try to thrive by exploiting the vitality of others. On observation you will notice that efforts are being made to establish so-called societies in some particular part of the world, for some particular section of the people, and based on some particular “ism” or faith. A social consciousness based on such divisions lies latent in the minds of the people, whether they are Indian, Pakistani or English, so they remain absorbed in thoughts of their smaller groups. It is actually due to some external impact that social consciousness takes the form of a really all-embracing Indian, Pakistani or English consciousness. The social consciousness of an enslaved nation is never more keenly felt than when the people are at war with the dominating colonial power. After independence that consciousness is lost. Examples of antisocial fissiparous tendencies do not stop here. Even in different regions of the same country people do not live within one social group. The creeds of the Brahmins, the Rajputs, the Kayasthas, and other different castes urge people to belong to their own societies. And yet the antisocial spirit of self-differentiation does not end here. There are the even smaller groups of Bundellas, Rathores, Sishodiyas and Caohans among the Rajputs, and there is the antisocial eagerness for relative supremacy in the social sphere between the Pain’ca Gaodiiyas and Pain’ca Dravidiis of the Brahmins. To what state has society effectively been reduced? I reaffirm the fact that human beings have still not been able to form a human society, and have still not learned to move with the spirit of a pilgrim. Although many small groups, motivated by self interest, work together in particular situations, not even a small fraction of their work is done with a broader social motive. By strict definition, shall we have to declare that each small family unit is a society in itself? If going ahead in mutual adjustment only out of narrow self interest or momentary self-seeking is called society, then in such a society, no provision can be made for the disabled, the diseased or the helpless, because in most cases nobody can benefit from them in any way. Hence it will not suffice to say that all people marching ahead is only a collective form of segregated psychic phenomena; for in that case there always remains the possibility of some people getting isolated from the collective. All human beings must attach themselves to others by the common bond of love, and march forward hand in hand, then only will I proclaim it a society. You will hear many a vain and assuming person say, “I don’t need anyone’s help, I’m doing very well by myself. I don’t want to concern myself with anyone else’s affairs and I don’t expect anyone else to bother about mine.” Nothing could be more foolish than this statement. Medicine and nursing are necessary to cure diseases; the neighbours’ help is needed to cremate a dead body; and for the regular supply of food and cloth the cooperation of farmers and spinners is essential. Remember, no created being in this universe is independent. No one can exist alone, everyone has a supra-cosmic relationship with the whole, at times prominent, at times indistinguishable. In this scheme of mutual relationships, even the slightest mistake or discord will raise a furious furore in the universe. In this mighty creation, the brilliantly luminous sun and the tiny ant have the same existential value, having combined together to make the universal family. Similarly, in human society, the importance of a powerful and eminent person is no less than that of a disabled and dying patient. None can be ignored. The least injustice done to anyone will cause the break down of the entire social framework. In this universe of living beings there are some fundamental problems applicable to all which are to be solved by all. These problems may be taken as the common features in the life and Dharma of living beings, and the all-round health of living beings depends on the happy solution of these problems. The more these problems are solved with mutual cooperation, the more beneficial it will be. We must remember in this regard that rights and responsibilities belong to all. Lack of consciousness about rights and responsibilities drives social beings towards a tragic end. It results in the collective fate of living beings being determined by a particular dominating group. The vital energy of society is sapped through such group or class exploitation. Nature’s wealth belongs to all living beings. What is a burden to the earth is a burden to all. Disregard of these ultimate truths eventually leads to disorder in social life, and society’s potentialities are destroyed before they have a chance to develop. Why have schools been established? Is it not to enable children to learn? All parents want their progeny to acquire knowledge and develop intellect. But even today many parents are unable to send their children to schools. Why is this? Surely, everyone should be given equal opportunities to benefit from any institution established for public welfare. This is everyone’s birthright. Some people wear a mask of culture in public, but in private pursue personal or class interests. This hypocrisy has no place in the human society. It is the cause of the sad state of education in the world today. The same is true for the supply of food, clothing, housing and medical care. The significance of founding a true society lies in solving all problems in a collective way. There are some tendencies and instincts which are manifest in both animals and humans. In fact, these tendencies are the evidence for existence of animality in humans. These tendencies may be suppressed in the face of stern rhetoric, but to do that is not only undesirable but impossible, because they support the principle structure of existence. Having identical tendencies, humans and animals both belong to the same category of living beings. The difference lies in the fact that the animal in a human body can refine those tendencies and express them in a more subtle manner. This refinement is called culture. To eat is equally essential for all, but people, even when extremely hungry, do not rush up to the table like dogs and sit down to eat with total disregard for their surroundings. Unless their hunger is more powerful than the faculty of reasoning, they will wash their hands before eating. This is a part of culture. Civilization is not unchanging. There is nothing stationary on this earth – everything is dynamic. Civilization is also a progressive phenomenon, moving from good to better, from imperfection to perfection towards the ultimate goal: perfect Brahma. The greater the tendency of refinement in people, the more cultured they are. We must remember that refinement and hypocrisy are not the same. There is a heaven and hell difference between the external show and the inner motives of a hypocrite, and the inner and outer consistency of a refined individual. Whatever is done in a refined way, is done with reasoning and propriety, and thus, instead of being a cause of social breakdown, will be a cause of social well-being. Let me give an example. The drinking of water is basically an animal instinct. It would reveal a complete lack of culture for anyone to drink drain-water simply because they were thirsty. To ascertain whether the water is pure before drinking, and to ensure that all towns and villages receive a regular supply of pure water, are signs of a civilized society. But to say, “I’m doing a dry fast” after having secretly drunk a glass of water is the height of hypocrisy. Judged in the relative perspective, the more civilized we become, the more helpless we become. A new-born baby is completely helpless. Just think of the plight of a helpless child in the delivery room the very first day it appears in society! The more cultured people become in a refined social environment, the greater their sense of duty for their children. For this reason children lose the capacity to do anything themselves. According to the Laws of Nature, the more developed the mother’s affection and intellect, the more dependent the child becomes on its mother. In the animal world, the lesser the maternal affection, the shorter the time it takes the offspring to grow strong and selfdependent. Nature takes the responsibility of assisting those neglected offspring by providing them with the necessary survival instincts. A baby monkey has to learn quickly to cling to its mother’s belly as the mother needs to use all four limbs to jump around the forest. The mother can’t carry her baby by its neck, because the baby would die if its neck was twisted. A kitten, however, is blind at birth and thus unable to see its mother, let alone cling to her belly. Thus mother cat is obliged to carry her babies in her mouth. A baby rhinoceros, on the other hand, runs away from its mother after birth! And rightly so, for the mother’s tongue is so rough that several licks might actually kill the baby. The baby rhinoceros waits for its skin to harden a little before returning to its mother. Society must ensure that proper care is taken of human babies who are totally dependent on the care and protection of their parents for their existence. These helpless children can only convey their pain and discomfort through tears. To raise children from infancy to maturity is an immensely important task. I have said before that the members of society must advance in unison. The newborn babe is another traveller on the path. To adopt a child as our companion, as one included in the society, is called the “Játakarma” of the child. Living beings may be divided into two main groups based on intellect: those who want to share their wisdom, and those who do not. Those who favour the exchange of wisdom have a greater social awareness. But those who oppose it cannot develop a collective social mind due to a lack of mutual understanding. Human beings are basically beings of social inclination. They must always remember that those possessing little strength and ability, and those not provided with the means to survive the struggle for life by Nature, must be led along in companionship. Those who take great pains to assist the helpless are more civilized and endowed with greater awareness. They are the socially-minded beings who readily embrace the underprivileged, the downtrodden and the rejected people of society.